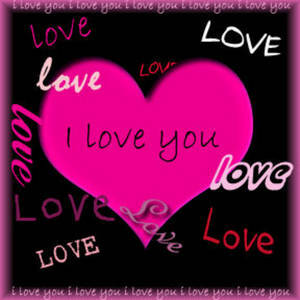 Description: This free clipart picture is of a heart covered with the word "love". This Valentine graphic shows a black box, with a pink edge, and a bright, pink heart in the center. The word, "love", in different fonts and colors, is repeated all over the box. This image can be used for Myspace.